This project is a newly constructed architectural residence in Fulton, MD. 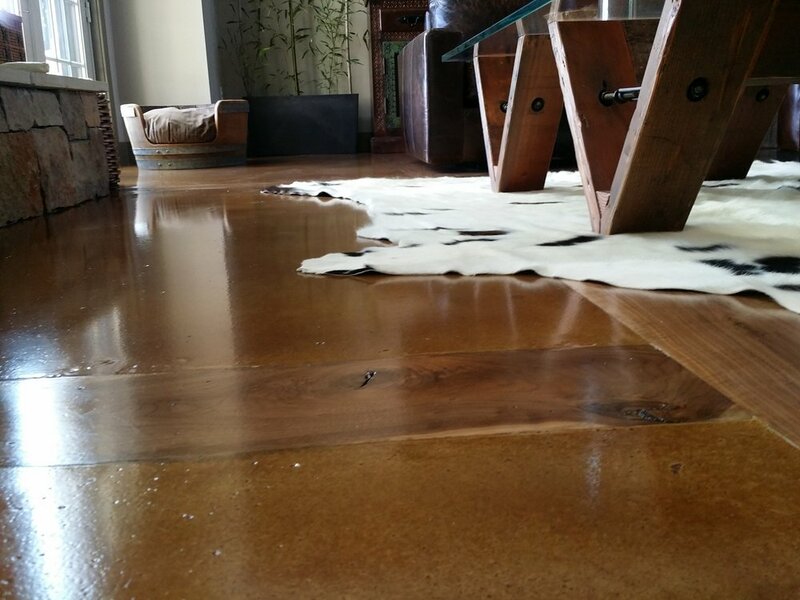 The owners, both veterinarians, were looking for a beautiful yet durable floor for their new home that would withstand their numerous animals. 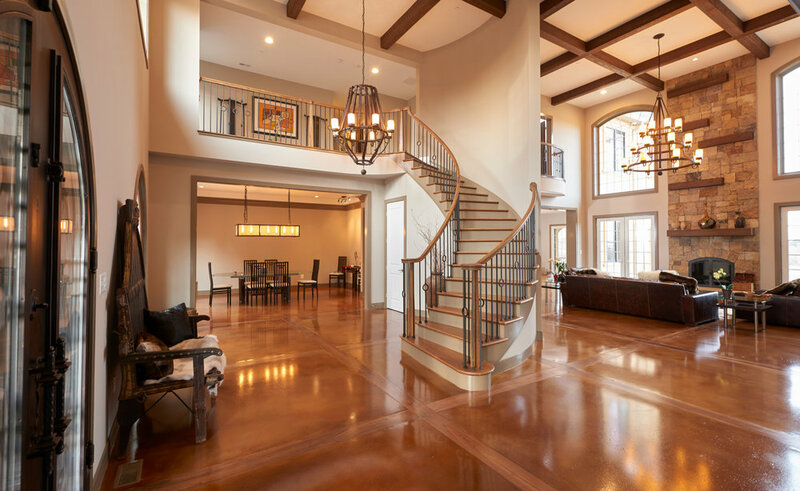 Hyde Concrete was recommended to the interior designer by a product vendor for being able produce exemplary finished floors. 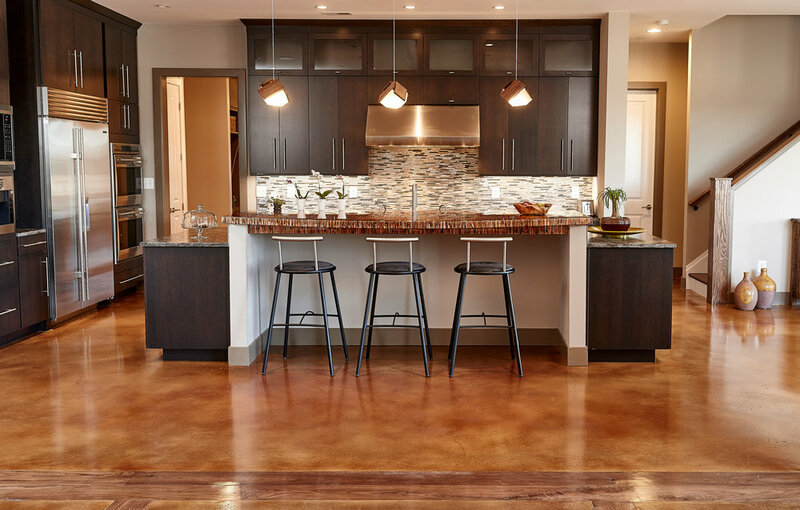 The architect wanted an earthy floor that complemented other wood accents in the space. In particular, she wanted a wood inlay in the floor that mirrored the wood beams in the ceiling. Additionally, she wanted a tiny bit of texture in the otherwise smooth self-leveling overlay. As you can see, the results are stunning! The owners will not stop bragging to their friends about the floor!